Ocado plans to build a state-of-the-art customer fulfilment centre to replace the Andover facility that burnt down in February. The company said that a thorough examination of the causes of the Andover fire was currently being undertaken. “Our initial assessment of the reasons for the fire gives us confidence that, going forward, there are no significant implications for the risk profile of the assets or the viability of our model and therefore for either Ocado Retail or Ocado Group. 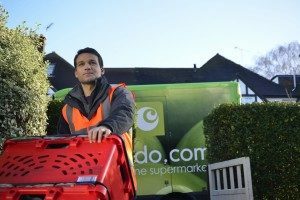 For the 13 weeks to 3rd March, Ocado saw revenue rise 11.2 per cent to £404 million, although average order size was marginally down at £110.24.